On April 5, 2018, Licensee entered into a Stipulated Order with the Board for unprofessional or dishonorable conduct, and gross or repeated negligence. This Order reprimands Licensee; assesses a $10,000 civil penalty; places Licensee on probation for five years; requires Licensee to complete pre-approved courses on medical documentation and on professional boundaries and medical ethics; requires the presence of a medically trained chaperone for all clinical encounters with female patients over the age of 15; subjects Licensee’s practice to no-notice chart audits and office visits by the Board’s designee; restricts Licensee from treating patients with IV infusions for a mental health condition without a psychiatrist referral; and restricts Licensee from treating patients with oral anti-depressant medications. 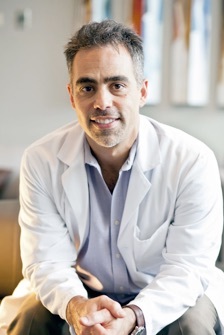 Dr. Abreu is the Medical Director of the Portland Ketamine Clinic. Licensee surrenders his medical license while under investigation. investigation into his ability to safely and competently practice medicine. Foutz has apparently closed his practice in Grants Pass. His name has been scrubbed from the Asante Three Rivers Medical Center website. retires his medical license while under investigation, effective August 1, 2018.
terminates Licensee’s January 15, 2004 Stipulated Order. Dr. Mead has been a psychiatrist and worked at the Oregon State Hospital. He’s had many reviews by the Oregon Medical Board which affected his license, including this one from 1995. Dr. Mead was named in a 2011 lawsuit against the Oregon State Hospital. There are several Doctors that are a danger to well-being of the Oregon People commited to the jurisdiction of the State Institution here in Salem! This place is not a hospital! It is a looney bin for the educated insane to practice psychiatry or pretend to work in recovery! Oregon’s True Blue Animal House. Both sides of the fence Staff and patients!